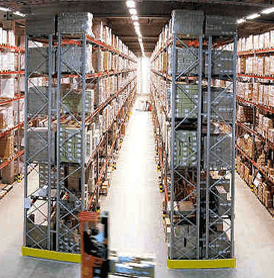 Create functional and logical warehouse storage with the right pallet racking system. Thanks to a wide range of possible storage applications and accessories, our Dexion pallet racking systems can be easily adapted to suit your warehouse storage requirements. Make the most of your limited floor space and reduce storage costs with our Compactus Mobile Shelving. Compactus Mobile shelving offers many advantages and offer an extra 100 % of storage capacity. Dexion Steel Shelving systems provide an ideal way of storing, organising and identifying small parts when handling component storage in warehouses, factories and picking areas. 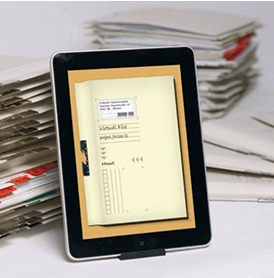 We offer a unique combination of digital service provision and software development, whereby the primary focus is on eliminating paper and optimizing document flows. Glass partitions can create a modern, contemporary look and feel to the office and are durable, cost effective making your office area feel much bigger than it is. Our new online store is now open for business. Browse through over 9,000 product categories. Our aim is to make is easy for you, our customer, to do business with us. STORAGE SYSTEMS - Over 40 years providing storage solutions in Ireland and the UK. Storage Systems Limited. has been the premier supplier of industrial and commercial storage solutions in Republic of Ireland & Northern Ireland. Founded in 1976, we are proud to announce that we are the only official distributor of two prominent international storage system brands, Dexion and Bruynzeel in Republic of Ireland & Northern Ireland. Our storage solutions of shelving & racking are simply superb and are designed to the best of international standards. 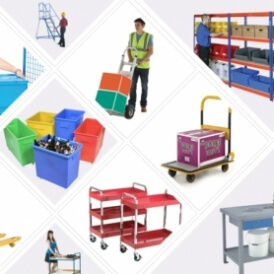 For decades we have been delivering the most advanced storage solutions that are easy to use, make the most of the available space, and are cost effective. Since our establishment, we have completed numerous installations in all types of industries and business both commercial and industrial, across the country. This has gained us enormous trust and reputation in the market as the leading supplier in storage solutions today. Today, we have our offices in four major cities in the Republic of Ireland & Northern Ireland - Dublin, Cork, Galway and Belfast. In addition to off-the-shelf storage units, we also offer custom storage shelving units exclusively designed for your needs and budget. We believe in walking an extra mile to deliver products that not just meet your immediate needs, but also contribute to your business success by offering the best storage environment possible. 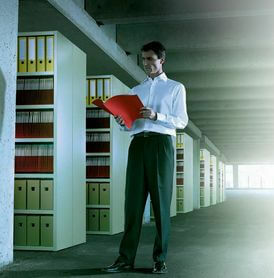 We are the benchmark when it comes to storage solutions today. Explore our online storage systems portal below to learn more about our storage products and services. Today Storage Systems Ltd. continues to grow and develop, and we look forward to continued success for the next 40 years. We had our Dexion shelving units installed here today and I just want to send on a word of thanks for your patience and versatility on delivery of the shelving units to me here in Medtronic. It has been a busy period in the company and things changed from week to week. Your patience and ability to change delivery over the past month was greatly appreciated. Your installation team are a credit to your company and have no hesitation recommending Storage Systems to other companies. We found Storage Systems excellent to deal with both prior and during the installation of our medical records shelving. A very professional service and a very high quality product. I would have no hesitation recommending this company to others. I wanted to thank you for the fantastic job that was carried out today. We are very pleased with the new shelving, as it was a vast improvement of the previous ones that had been installed. Thank you again, and we will look forward to doing business with you again in the future. Argosy Books have employed Storage Systems Ltd on numerous occasions on various large and small projects such as new warehouse design and fit-out, production of mezzanine floors, office partitioning, warehouse shelving and Dexion pallet racking. We have always found Storage Systems Ltd to be very professional, reliable, and would have no hesitation in recommending them. We look forward to many more years working together.